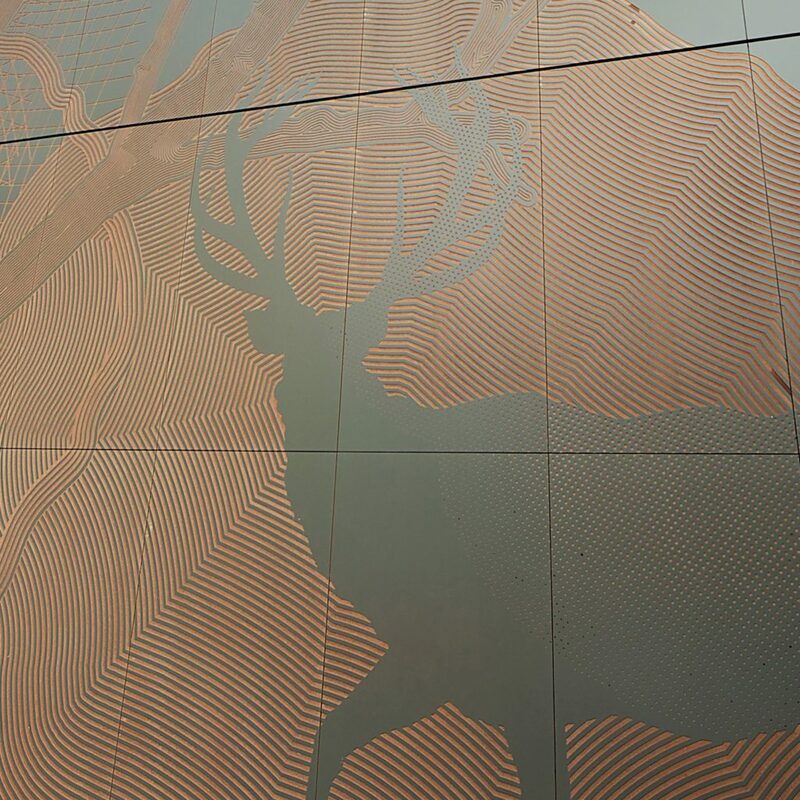 Previously known as Rockclad, Rockpanel Colours is a highly durable panel that makes a colourful statement. Known for its natural basalt rock composition, Rockpanel Colours is composed of compressed mineral wool boards and synthetic binders. 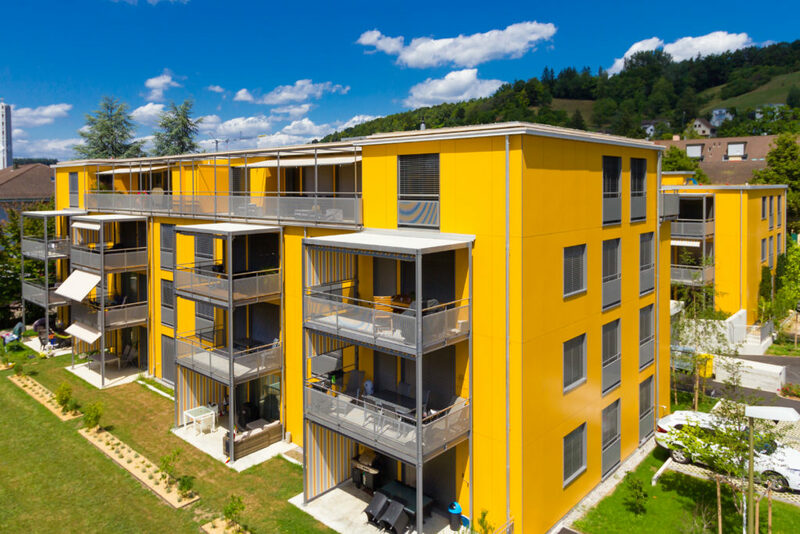 Its composition means that Rockpanel Colours panels are compatible with sustainability requirements. The panels are lightweight and therefore easy to handle on site prior to installation. 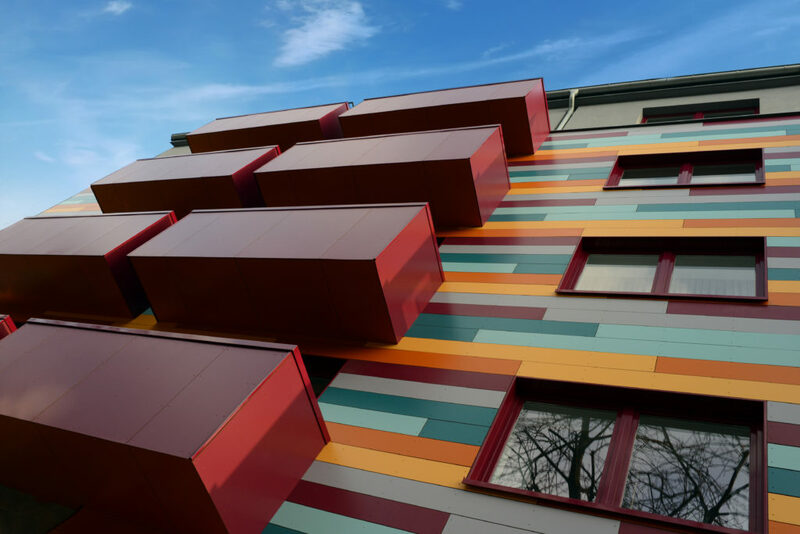 The Rockpanel Colours range offers over 50 standard colours, and if that wasn’t enough, the ability to create bespoke colours to match project requirements. As standard Rockpanel Colours comes with a ProtectPlus finish. The ProtectPlus finish treats the panels with a four layer water borne polymer emulsion paint, creating a colourfast design.